A Stable Place for Your Horse Records! Start Keeping Accurate Horse Records Now! Sign up today and add all your horses. 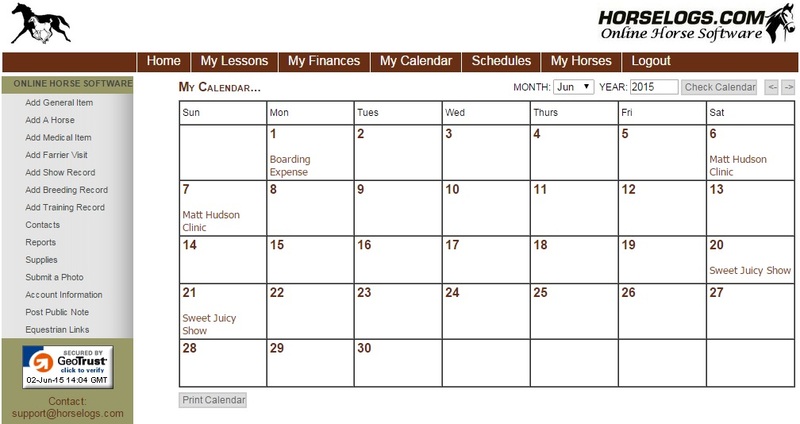 All horse management features are FREE for the first 30 days. Basic Membership is always FREE and includes most features. 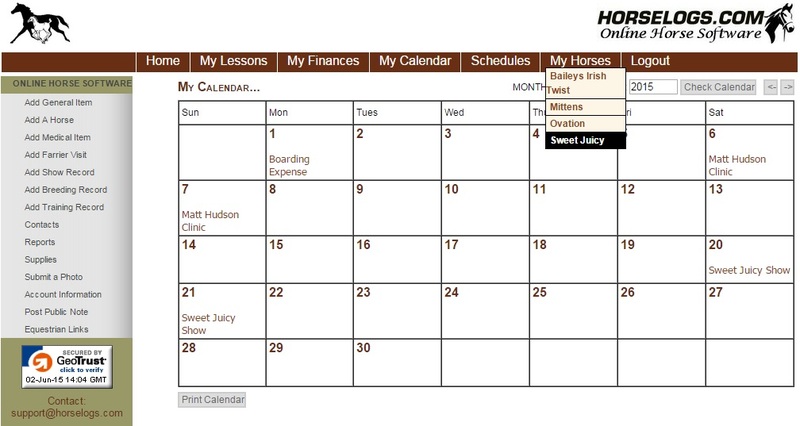 Easily record horse vet and farrier visits, horse riding lessons, expenses, feeding schedules, horse training records and more.